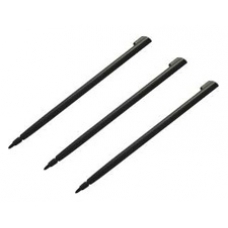 A pack of three high quality iPAQ h2200 series replacement styluses. You never need be without a stylus again! These styluses come in black and are made of high quality long lasting plastic and fit perfectly in the stylus silo on the iPAQ. * 3 Styluses per Pack.